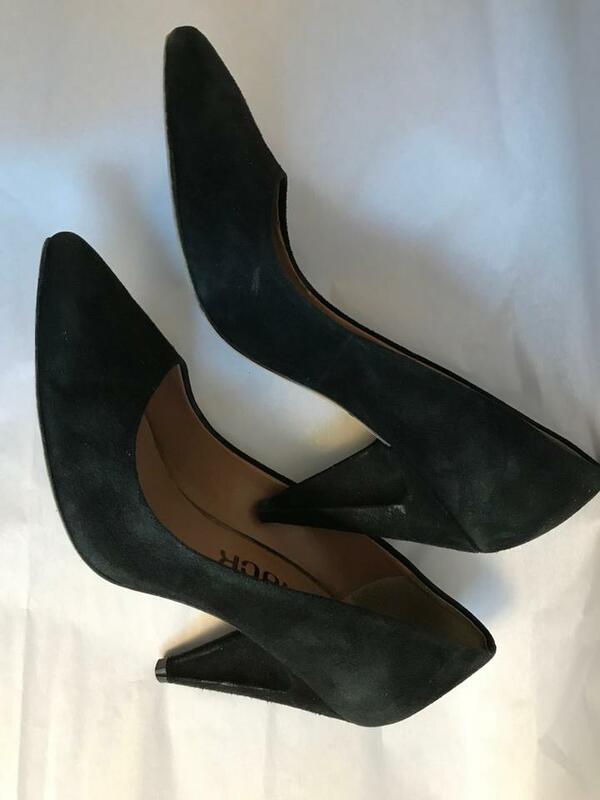 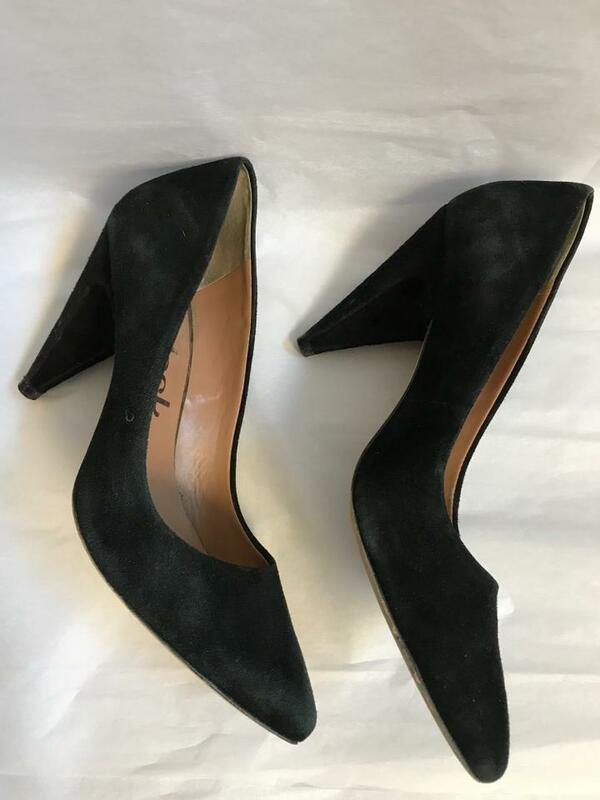 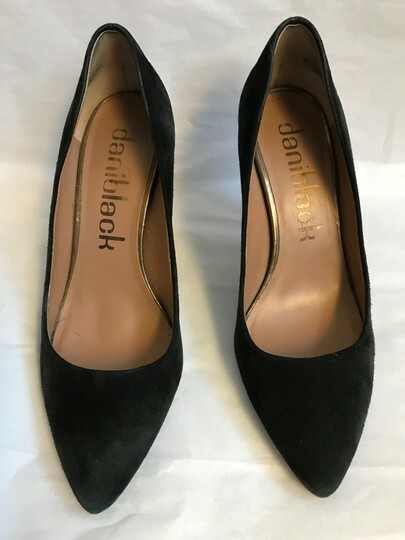 Daniblack Size 7 Black Suede pumps. The heel is not chunky but they don't have a category for this heel. 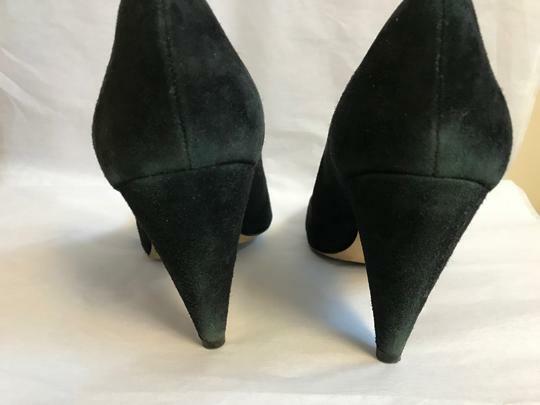 It's not slim or chunky, in between. 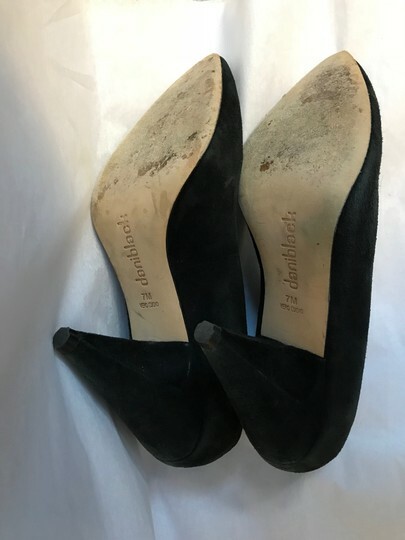 They are in great condition with small blemishes.